Project Mission: Replace original Volvo Radio with sat nav. The Volvo had the standard Volvo radio and the customer wanted to replace with a Touch screen Pioneer sat nav entertainment system. We replaced the radio with a Pioneer AVIC-940BT which is fully loaded with Bluetooth and iPOD integration, it was very important to make sure the cars original STEERING wheel controls worked with the new Pioneer. 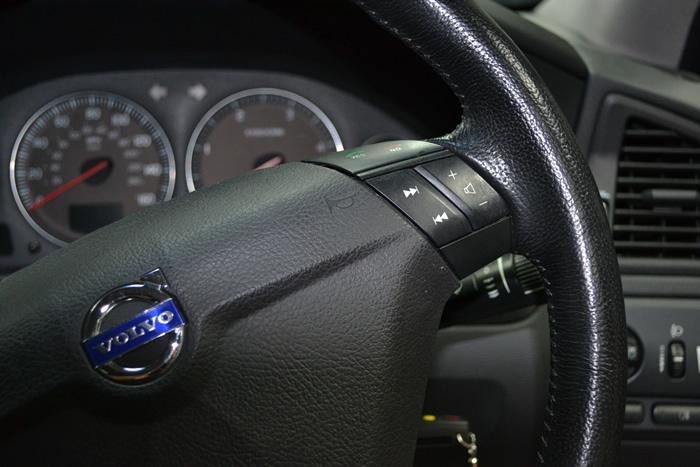 We fully integrated this to work to include the VOLVO phone answer button! In addition we integrated the double din Pioneer to work with the cars built in amplified DSP system. And finally this great car was made to ensure the cars PDC (parking sensors) fully integrated into the new system and carried on working as they should.